Best Buy Canada knows that we’re probably going to be gearing up for a hot summer – at least in some parts of Canada – as they are having a flash-sale on air conditioners and fans today. On select air conditioners you can save up to $150, and on select fans you can save up to 40% off the regular price. While the biggest discount of the day can be found on the Haier 12000 BTU Portable Air Conditioner, which is $150 off its regular price of $499.99, it is still a bit more expensive than what most of us may be comfortable paying for an air conditioner (it is now on sale for $349.99). 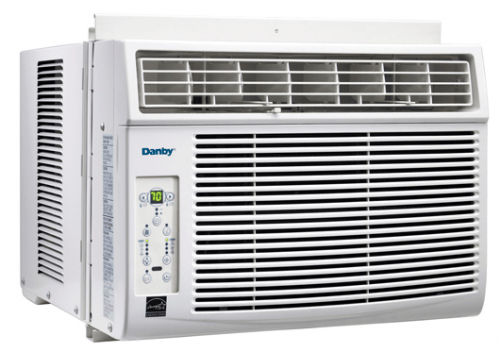 A better deal, that has a rather nice discount as well as a nice sale price, is the Danby 8000 BTU Horizontal Air Conditioner. Normally, this air conditioner would be $299.99, but right now you can buy it for just $199.99. If you’re not willing to invest in the much larger and pricier air conditioners, you could still save yourself some money in Best Buy’s fan sale. 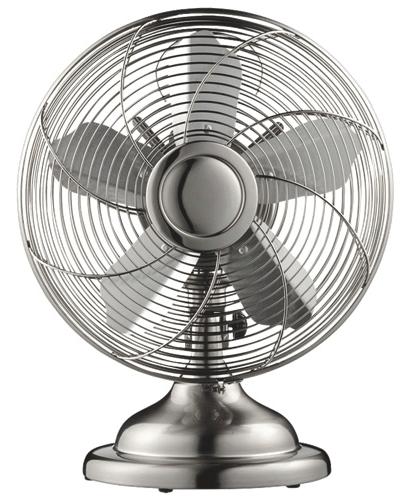 You will have your picking of either standing oscillating fans, or more compact oscillating fans that can sit on your desk or bedside table. This Lasko 16″ Stand Fan is now only $29.99 (was $39.99), while this smaller model, the Init 12″ Table Fan is $20 off its original price of $49.95 and is also only $29.99. Best Buy offers free-shipping on all orders that are $25 or more. 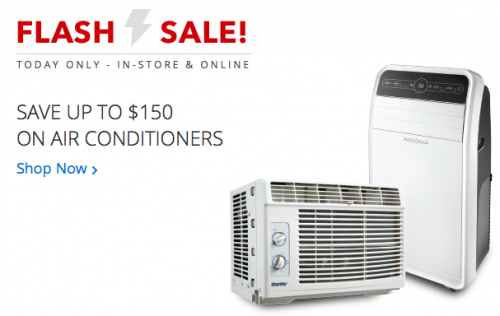 Click here to begin shopping the one-day flash sale on air conditioners and fans at Best Buy Canada.